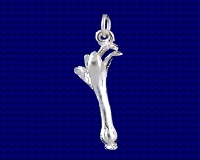 Sterling silver pheasant charm. The pheasant is a common bird throughout the world, the male is much more colourful than the female with long brightly coloured tail feathers. It is often hunted for sport and food. 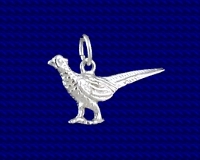 Craftsman made Sterling silver Pheasant charm.